Do you remember launching your first email campaign? All your co-workers gathered around you, and your palms were slightly sweaty as you all counted down, “4, 3 ,2 ,1, SEND!” Ping! It arrived in your inbox, because you were savvy enough to add yourself to the seed list. The first thing you did was inspect the email for the 100th time to make sure that indeed, you did not miss anything. If your launch was successful and unblemished, you all cheered and celebrated with vending machine sodas and Twinkies. 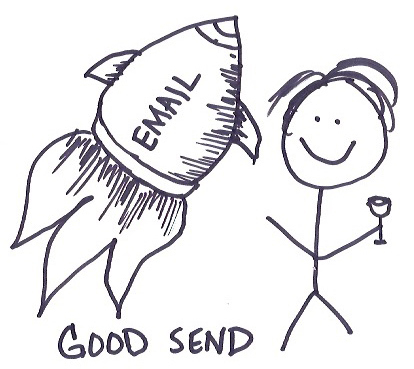 Now, let’s contrast that feeling with the first time you sent out an email with an error. 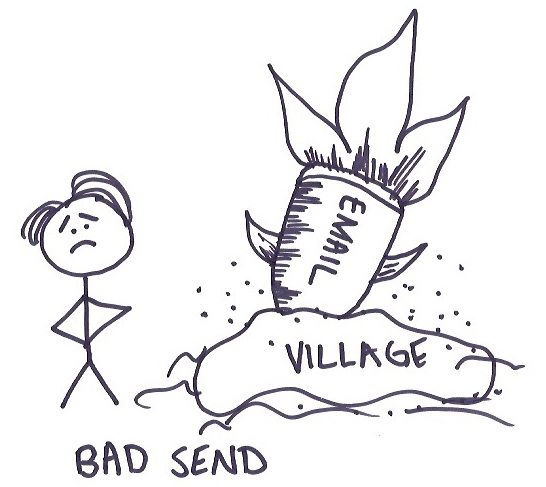 You sent the missile and it basically leveled a small village – or at least that’s what it felt like. Typically, emails are non-retractable. You can’t send in a reconnaissance team to get it back once you hit the rectangular black button. If it’s a big send, most email platforms will allow you to pause or stop a campaign to minimize the damage, but you will still need a contingency plan for those emails that successfully made it through. The first step is to assess the damage. Build a separate segment for the leads who actually received the email. There are different levels of egregious errors and some are not worth the effort of a resend. For instance, a spelling error – don’t bother. Though it may hurt your soul, it’s a small error when considering the big picture. Your email is strategic, you’ve written it to target a very specific persona with an equally specific outcome in mind, but somehow you selected the C-Suite list instead of the Accounting Manager list. Send an apology email that acknowledges your mistake in the subject line. Don’t shy away from being clever or funny. Your recipients will appreciate your candor – and your apology will go a long way in humanizing the bot. Have you ever gotten caught up in the brilliance of the copy you have crafted for an email, and forgotten to write the subject line? A resend is warranted, but do not panic. Your recipients will probably just delete the email, unless they are familiar with seeing your emails in their inbox and find the missing subject line curious. Resend the same email with the missing subject line. No explanation or apology needed. This mistake is going to require a resend. There is no getting around it. Fix and resend as soon as possible. You want to delight your recipients, not frustrate them. Consider appending your subject line with a friendly acknowledgement of your mistake. (e.g. “Oops, link fixed!”) You will be surprised at the uptick in opens and clicks. Remember those papers in college? After looking at the same paper for three-plus hours, any mistakes you made started to fade into the background. It wasn’t until you gave it a fresh eye, several days later, that mistakes became apparent. 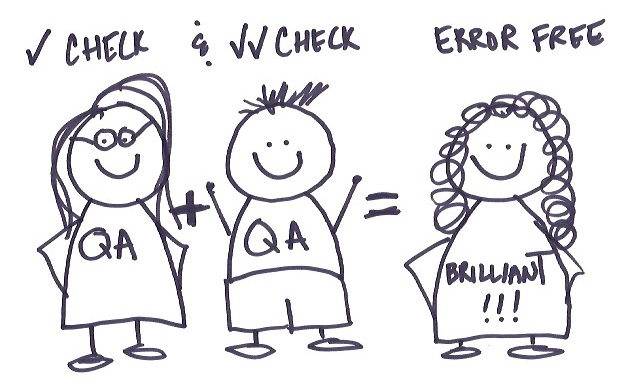 Make sure your process includes a QA step from someone that is not you. I know – you have the best of intentions, but we all make mistakes, and a fresh eye (or two, or three) will catch those little errors you have become accustomed to. Finally, don’t offer up your firstborn to the VP of Marketing, just because you made a mistake. Learn from your mistake, create new processes, and have fun with your email marketing. Stay error free, remember to always check, double check, and triple check your emails! If you want to discuss your email practices with a DemandGen expert, schedule a call or drop a note to our team. For more tips and trips around email best practices, check out Back to Basics: 6 Top Email Best Practices. Catina Martinez is an Account Director at DemandGen. She works directly with clients to help advance their business needs, develop long-range marketing plans, and drive ongoing success with their marketing initiatives. Catina is Marketo Certified, and she is an Eloqua Master and promoter of the SiriusDecisions methodologies.